I first made this condensed milk jelly to use as the white layer when I made the Finger Jello. Oh.. Finger Jello, I miss it. Have to make it again soon. 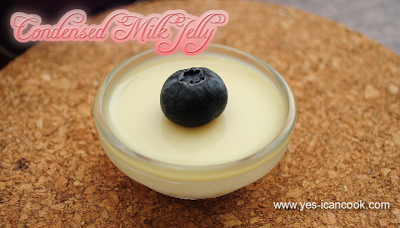 I had made some silly mistakes the first time so I need to make it again and make it even better. 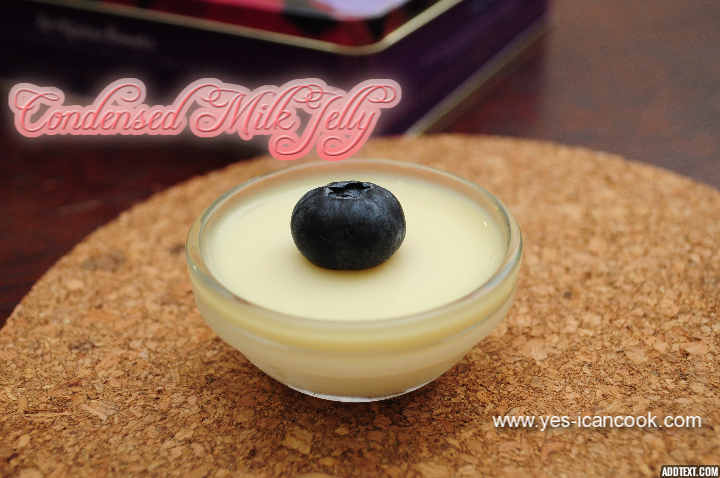 I used the condensed milk jelly recently to prepare a layer in the layered dessert I made which I am yet to name and it set so beautifully. 9. It will not set till the time it is refrigerated. Takes just 30 minutes to set. 10. Keep at room temperature on counter top with regular stirring to use as desired. 1. Add to individual bowls to set. Add some fresh or canned fruits at the base of the bowl before pouring the condensed milk jelly. 2. 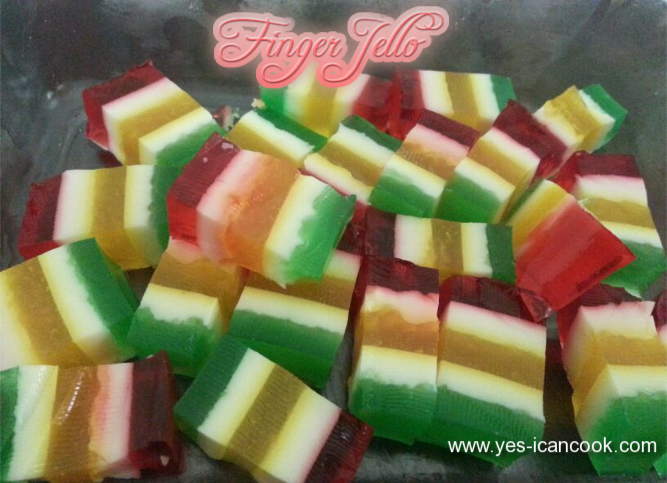 Use as a layer in Finger Jello. 3. 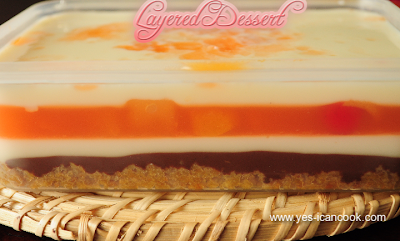 Add as a layer to any chilled dessert. 4. Set in one large rectangular tray and cut into pieces of desired shape. 5. 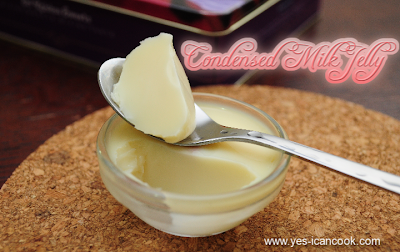 Add color or flavor to make colorful and flavored condensed milk jelly. That's a cool idea for a dessert. I have had all types of jellies during my sweet tooth moments but this is my first experience with this particular one. 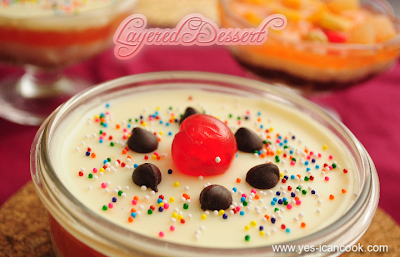 I will give it some consideration next time I am planning a dessert. I tried it. Didn't work.after I put cold water in got water. I noticed all the agar aagar was caked at the bottom of the cold water bowl.